Updated! The game is now out on Steam Early Access. There is much more info on the game's official page. Also see this article on Polygon. Twitter and Facebook have been a-buzz with the recent news that the developer of smash hit mobile title Plague Inc will be releasing the much anticipated desktop version, Plague Inc: Evolved very soon. 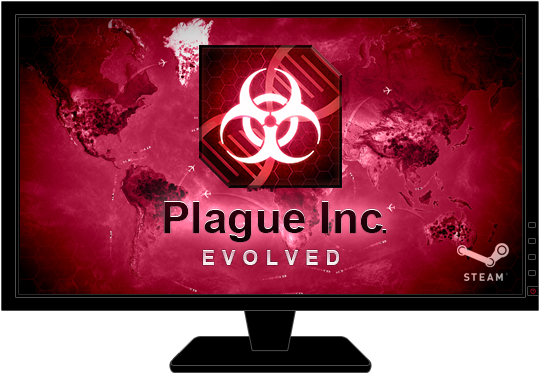 Auroch Digital is proud to announce that we have been working with Ndemic Creations to help make Plague Inc. on desktop a reality. The new version will see the same captivating gameplay with the addition of multiplayer, user-generated content and much more. Plague Inc: Evolved launches to Steam Early Access on the 20th February. The game's official page can be found at plagueincevolved.com and can be followed on Facebook and Twitter.